While thermal solar power plants have had a bit of trouble catching on in the US, solar energy company SolarReserve is hoping to change that. The company recently announced it’s hoping to build a 2,000 megawatt facility in Nevada called Sandstone. With a planned 10 towers and more than 100,000 concentrating mirrors, the plant would be the largest of its type anywhere in the world. 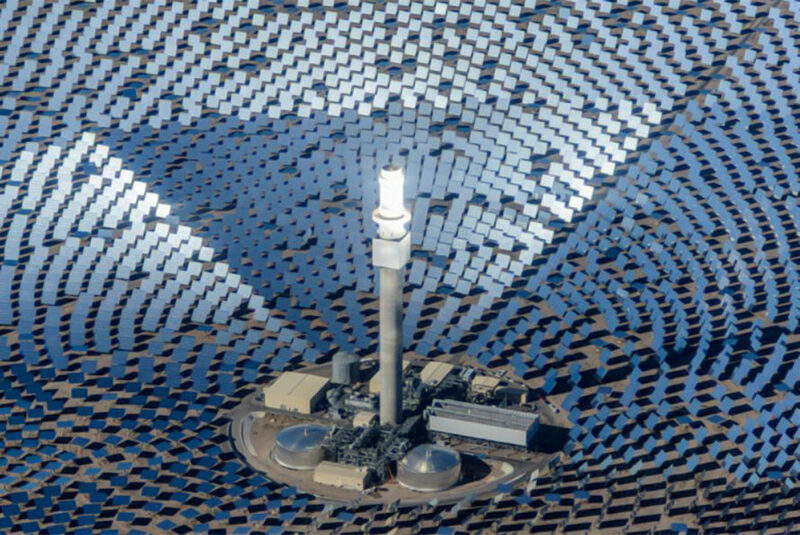 It would overshadow SolarReserve’s Crescent Dunes plant, currently the largest in the US with 110 megawatts of capacity. The new report comes via the Las Vegas Review-Journal, which reports the plant would cost about $5 billion to build and would deliver enough power for 1 million homes–the same amount of energy generated by Hoover Dam. Its energy capacity would also put it solidly in line with many nuclear power plants which, in the US, generate anywhere from 479 to 3,973 megawatts. If this project is successful, it could prove once and for all that solar energy is competitive with more conventional power sources. Its size isn’t the only thing that makes the proposed Sandstone plant unique. It would also be only one of two in the US to store excess solar energy in a molten salt battery, allowing it to continue generating power overnight. At the moment, SolarReserve is looking at two potential sites to house the Sandstone plant, both on federal land in Nye County. The facility itself could range in size from 15,000 to 20,000 acres, and a decision is expected sometime in the next six months. 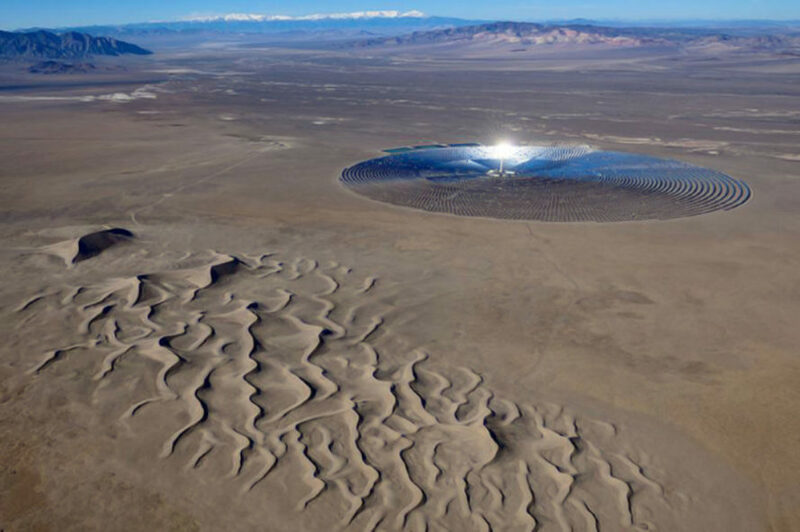 After various criticisms faced by the Ivanpah solar plant in California, SolarReserve appears to be carefully considering the environmental and wildlife conservation impact of both potential sites. SolarReserve wants to follow the success of its Crescent Dunes facility with a new solar power plant elsewhere in Nevada. The new plant would cost about $5 billion to build and would deliver enough power for 1 million homes – the same amount of energy generated by the Hoover Dam. At the moment, SolarReserve is looking at two potential sites to house the Sandstone plant, both on federal land in Nye County.